Our craftsmen have the same skills and use many of the same techniques and details used by artisans in Spanish colonial Mexico. 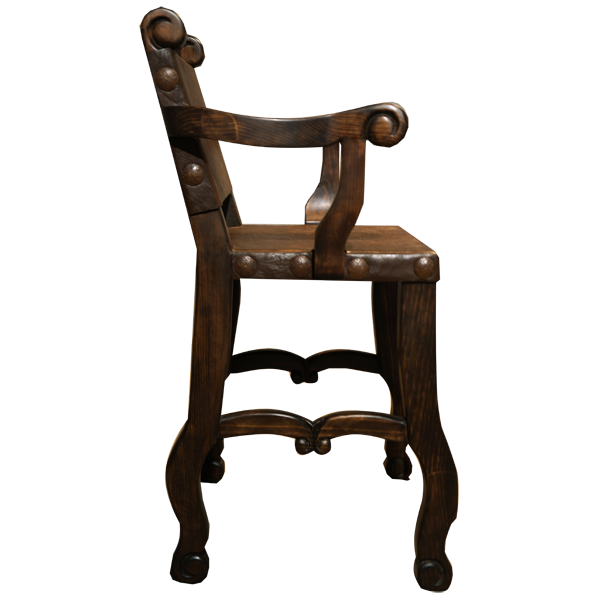 This amazing talent is reflected in this handcrafted stationary Spanish colonial style bar stool. 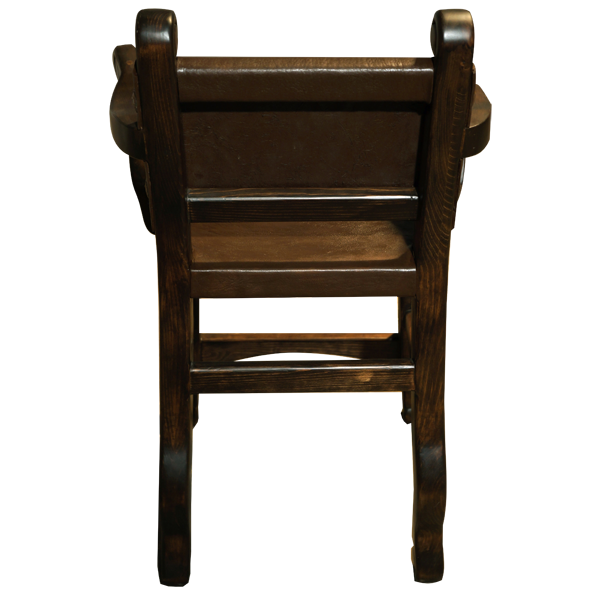 Durable as well as beautiful, this bar stool is made with the best wood available. The seat and the seat back are upholstered with dark brown genuine cowhide, and the upholstery is carefully hand tacked by our craftsmen. 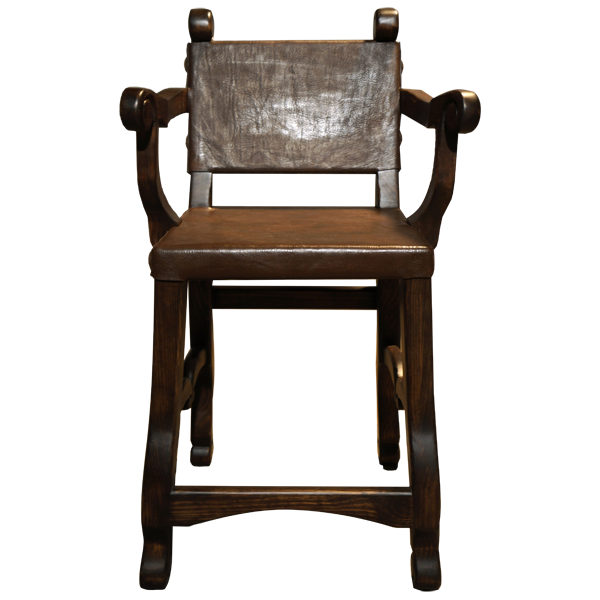 Among its colonial details are hand forged iron conchos on each side of the bar stool, and the hand carved scrolling on each armrest. 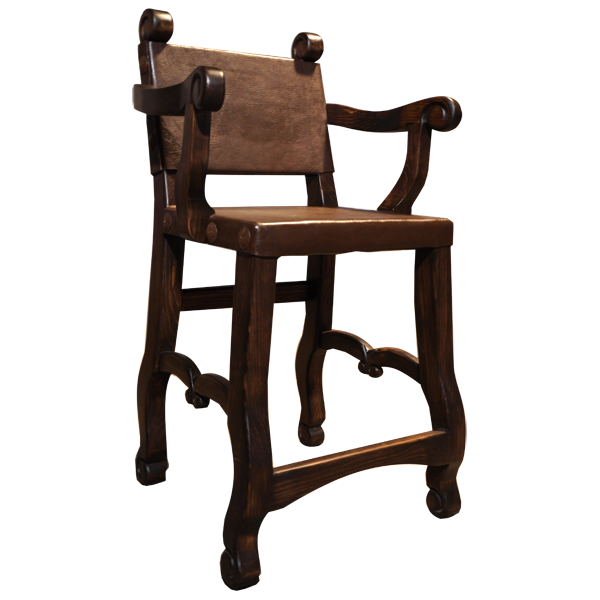 The bar stool has a beautiful finish and is supported by solid wood splayed legs. The wood legs are joined by a three way wraparound stretcher and high back crossbar. The bar stool is 100% customizable.